Your Go Goodwins Manchester Storm walked away victorious after a thrilling match at the Storm Shelter against a resilient Nottingham Panthers side. Captain Dane Byers stepped up in overtime as Manchester Storm were awarded a penalty shot & the Captain made sure the club secured maximum points at home. Here are all the goals courtesy of Storm TV! Next up at home for the Manchester Storm are the Fife Flyers, with Elite League points up for grabs this is an important fixture for the club as the Manchester Storm look to move up the table and secure a playoff spot. Don’t miss out, tickets are on sale NOW online & by calling the Planet Ice Box Office on 0161 926 8782. WEEKEND PREVIEW: Storm to Face Devils and Panthers! 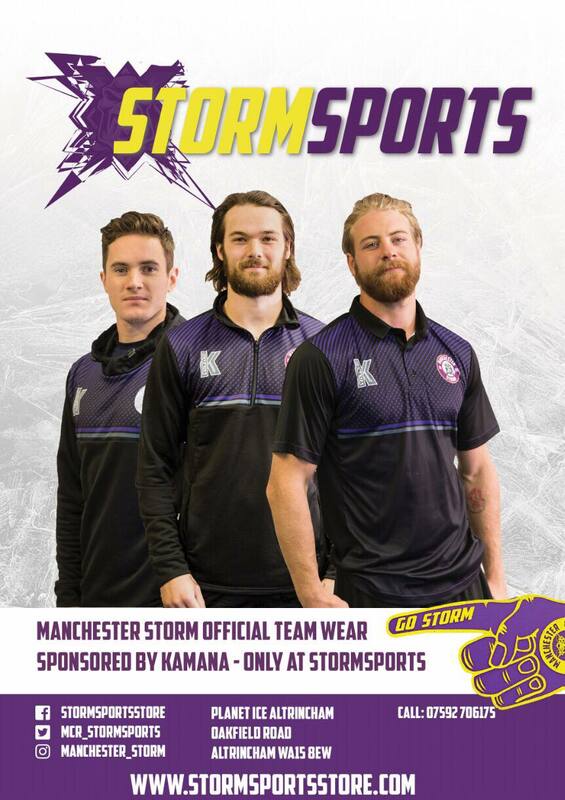 MATCH REPORT: Storm Beat Panthers in Overtime Thriller!